'A wholly pleasing book, which offers a tasty side dish to anyone exploring the narrative history of the British Empire' Max Hastings, Sunday Times WINNER OF THE GUILD OF FOOD WRITERS BOOK AWARD 2018 The glamorous daughter of an African chief shares a pineapple with a slave trader... Surveyors in British Columbia eat tinned Australian rabbit... Diamond prospectors in Guyana prepare an iguana curry... 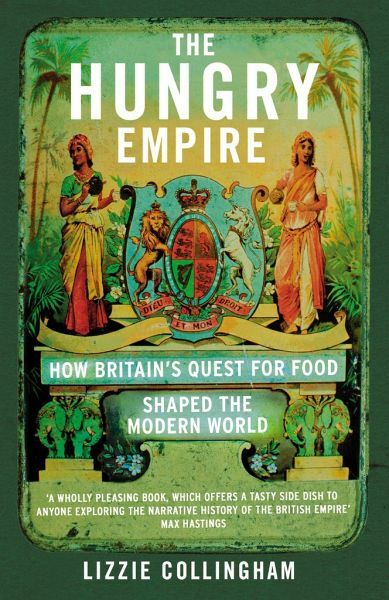 In twenty meals The Hungry Empire tells the story of how the British created a global network of commerce and trade in foodstuffs that moved people and plants from one continent to another, reshaping landscapes and culinary tastes. The Empire allowed Britain to harness the globe's edible resources from cod fish and salt beef to spices, tea and sugar. Lizzie Collingham takes us on a wide-ranging culinary journey, revealing how virtually every meal we eat still contains a taste of empire. "A wholly pleasing book, which offers a tasty side dish to anyone exploring the narrative history of the British Empire"